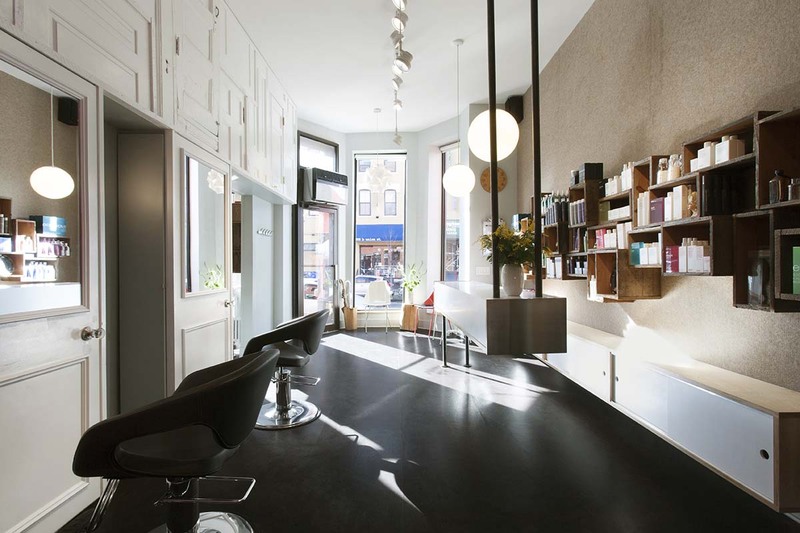 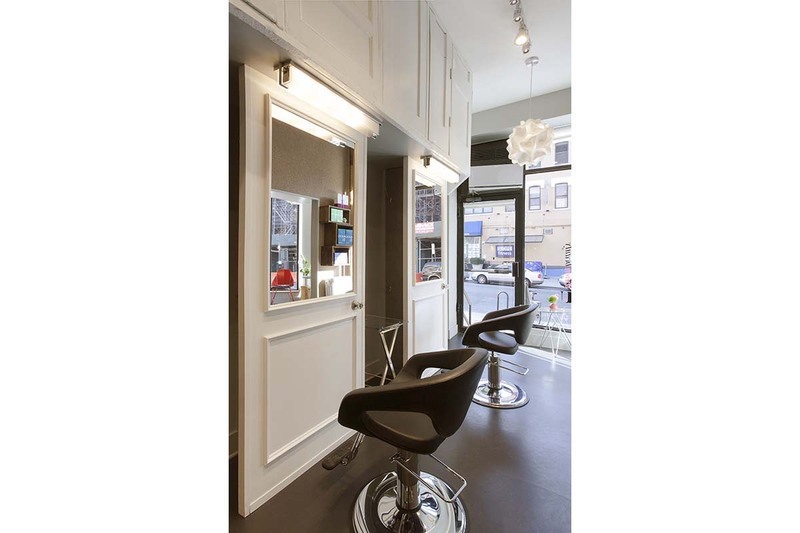 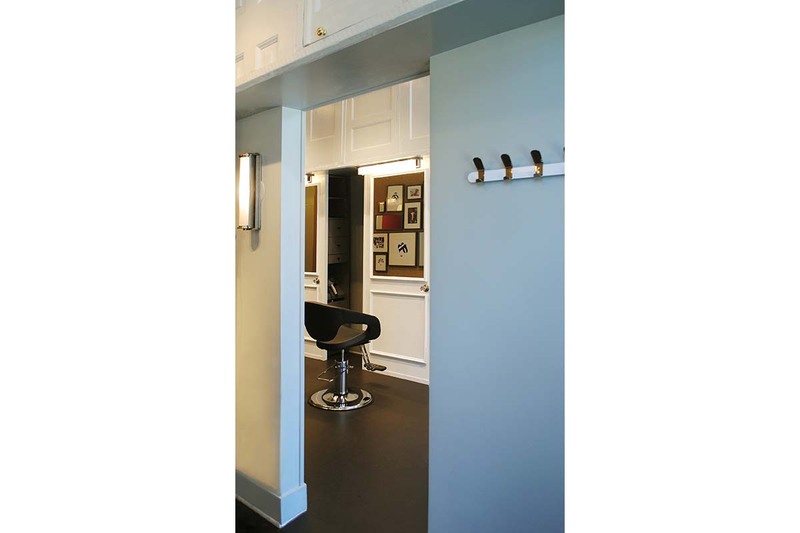 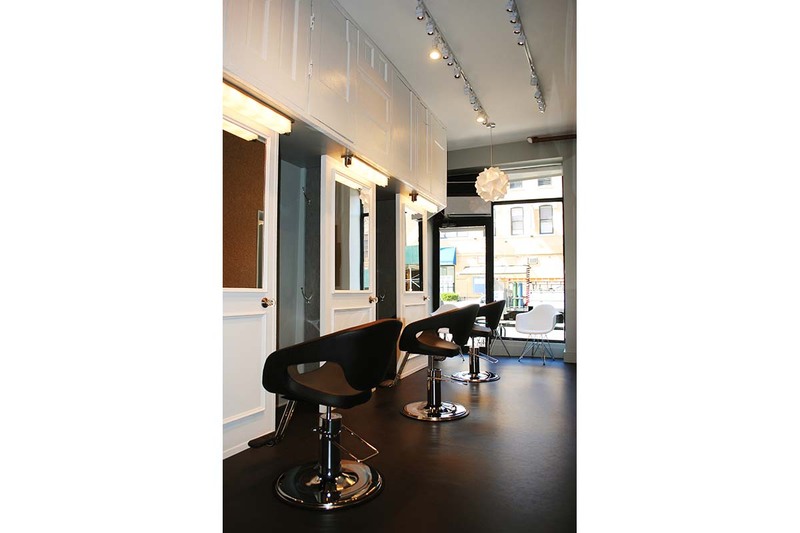 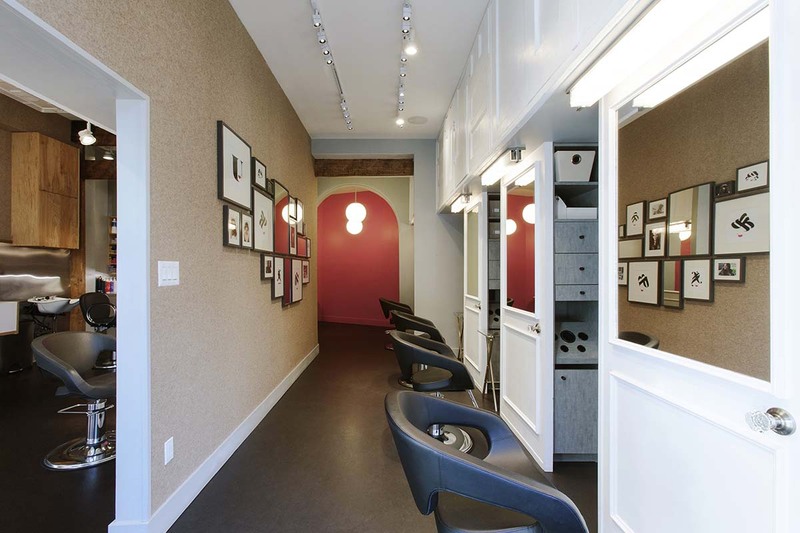 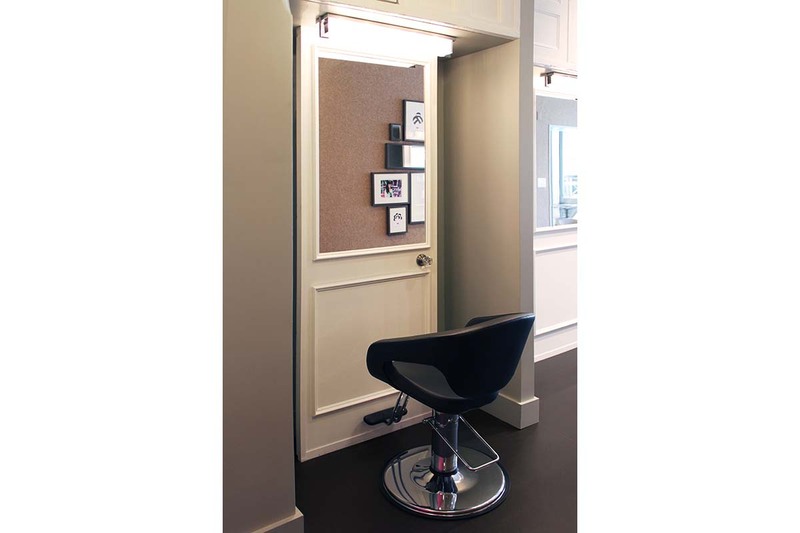 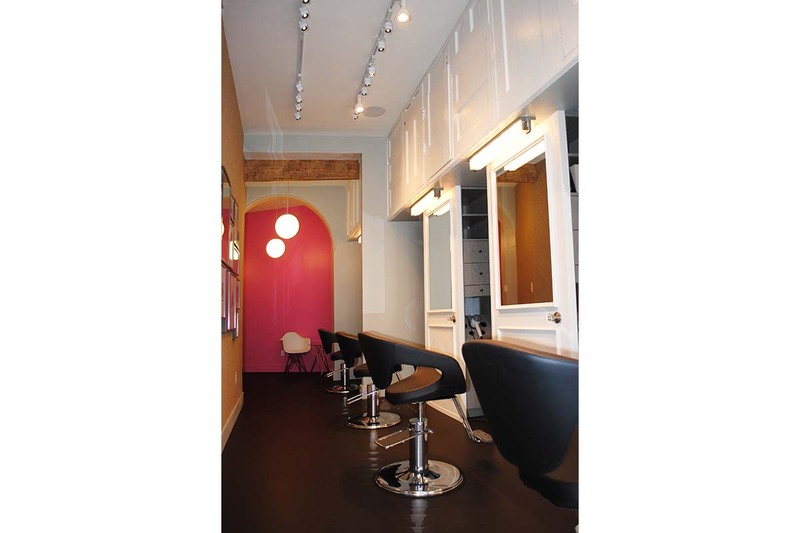 Joining two narrow spaces for busy salon owner Angela Taormino was a fun challenge. 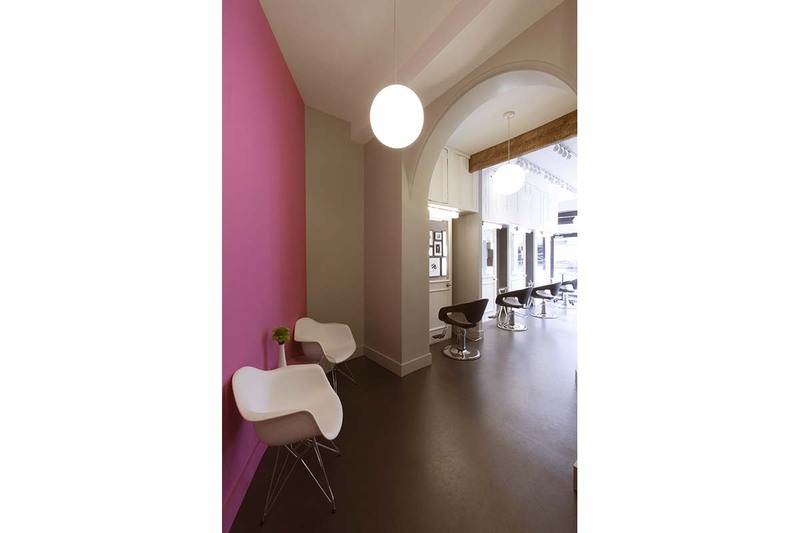 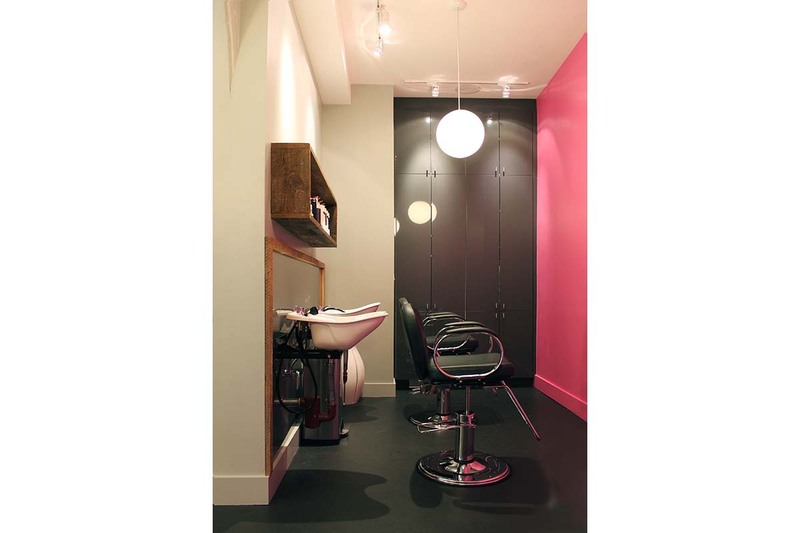 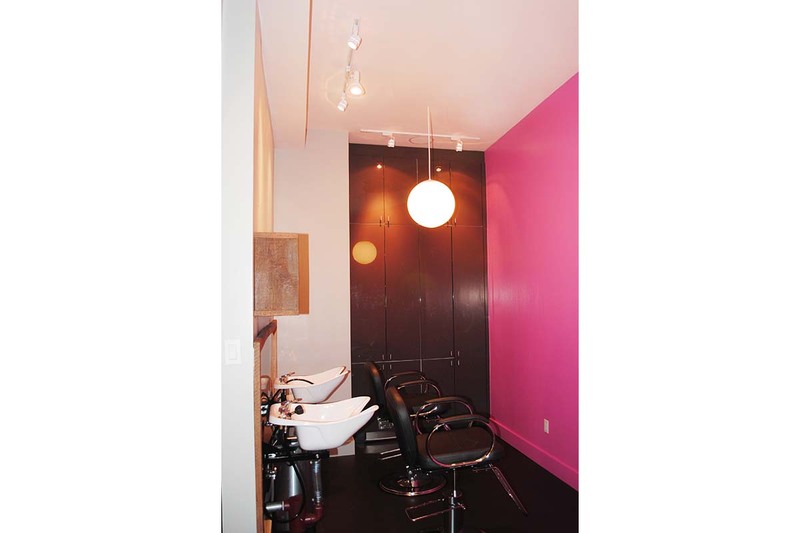 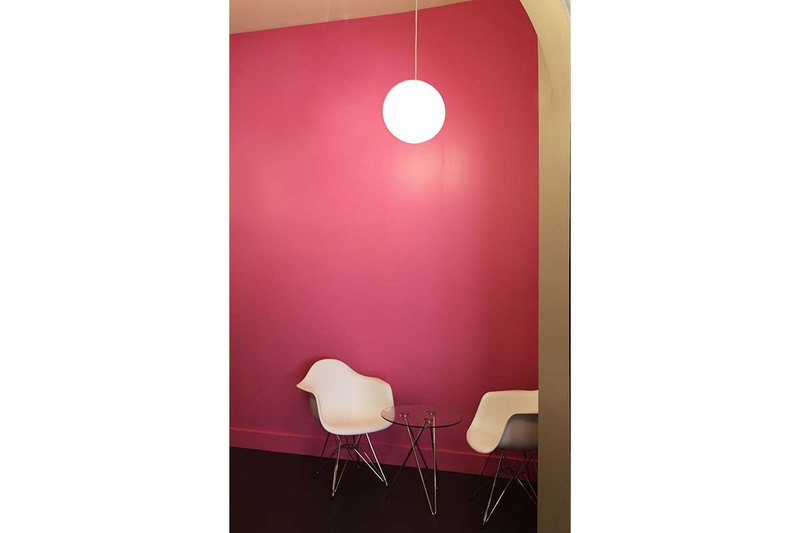 Angela’s stated goal for a “funky rustic urban” hair salon vibe that integrated fuschia accents, the color integral to her salon branding, made for a uniquely fun design process. 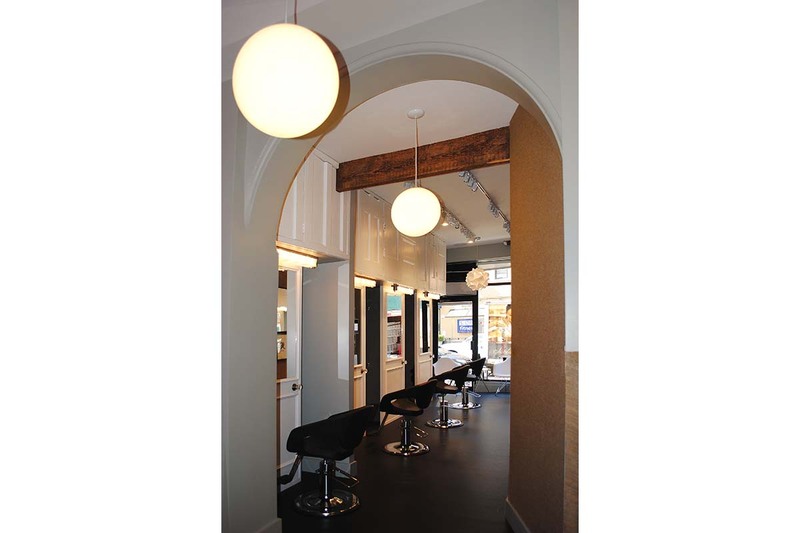 Integrating curvilinear and straight lines, bursts of color, and salvaged urban materials in the now joined spaces allowed her to serve her dedicated client base in a space that truly reflects the dynamic spirit of her growing business.